With our extensive fleet of 40 vehicles we can select the perfect transport for your airport transfer requirements whether you’re a large group or a small family travelling. Our drivers are very familiar with all the airport access routes and we monitor the return flight arrival times to ensure that we’re at the terminal when your flight lands so you don’t suffer any delays in getting back home after a trip. Because we have such a large fleet, we never have to overload a vehicle with passengers and luggage – we always select the correct size vehicle for each individual job. 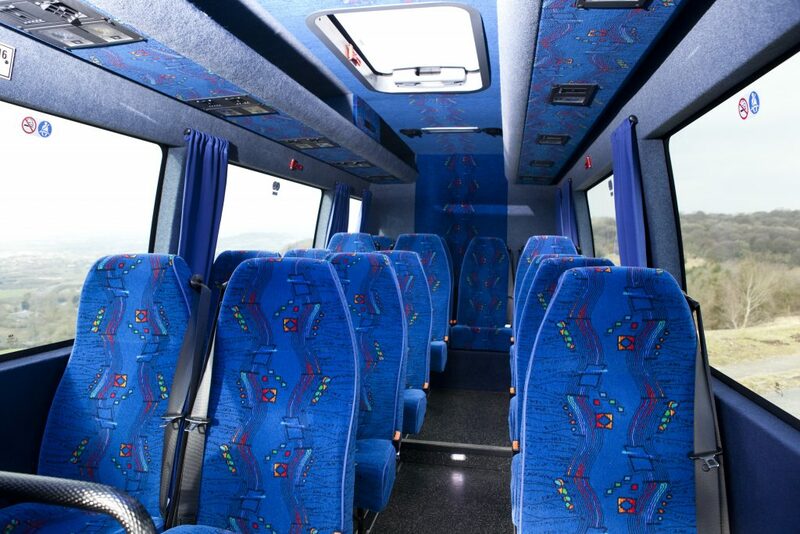 Our executive 16 seater minibuses have tinted windows and comfortable coach seats with 3 point seat-belts, plus a separate boot for bags which allows space for around 12 sets of normal luggage. If you need a bigger vehicle we have some excellent 29 seater minibuses which also allow the comfort of a separate luggage area, and beyond that we have a fleet of 49/53 seater coaches should you be even more numerous. We can cover any job within the UK, locally or nationally, please use the request a quote or contact us options below to discuss your requirements, and we look forward to speaking with you!